I’m going bit off-piste today, and behind the scenes, back of house, back room, down in the boiler room. 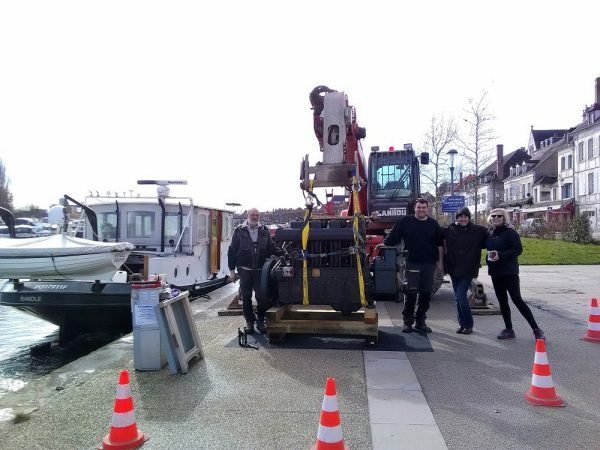 Riverboats, underway or under maintenance; some people ask what we do in the winter when the canals are closed and Burgundy goes into hibernation mode. Well, we have a river riverboat to maintain, and each year we have a “project” or two, and this year’s project was to replace the engine and engine mounts. 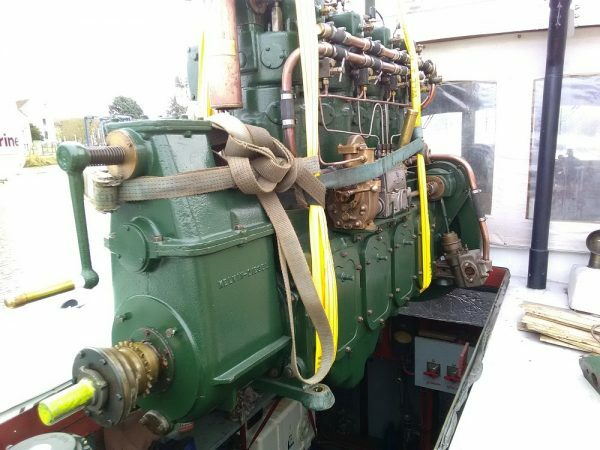 The heart of every riverboat is its engine, and in our case its a 1948 Kelvin K4 diesel, now people may ask, “why have such an old engine” and we may reply “because they don’t make’em like they used too, oh arr” but it s true! Probably a good thing in some respects, as you wouldn’t want to open the bonnet (hood) of your car and oil the overhead valves and timing shaft every time you went to the shops or out for the night. But on the up side it gives us two tonnes of low speed chug, perfect for pottering down the canal. Of course the second problem with “they don’t make’em like they used too, oh arr” is that they don’t make’em anymore.. at all. Therefore, we don’t just keep spares, we keep a complete spare engine, and last winter it was time to give its sibling a rest, and a bit of TLC, and for the spare to have a go too. Removing two tonnes of engine is not a simple task, and requires the use of a “chariot télescopique” piloted by our chief engineer Remi. The shiny “New”1948 Kelvin K4 awaits on the quay. Its previous roles include working as a generator for Trinity House General Lighthouse Authority. 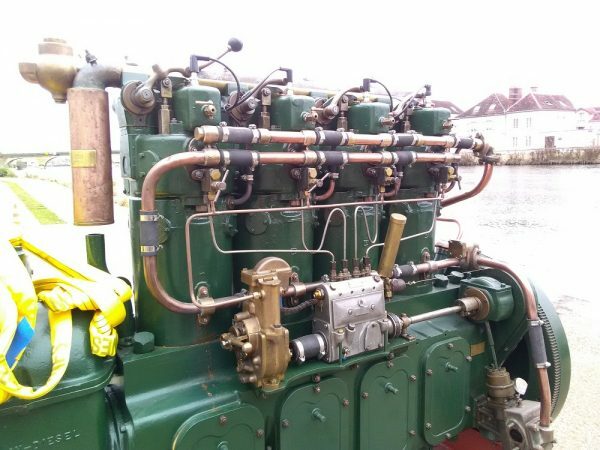 Kelvin K4, 16ltr, 1948 vintage marine diesel engine. 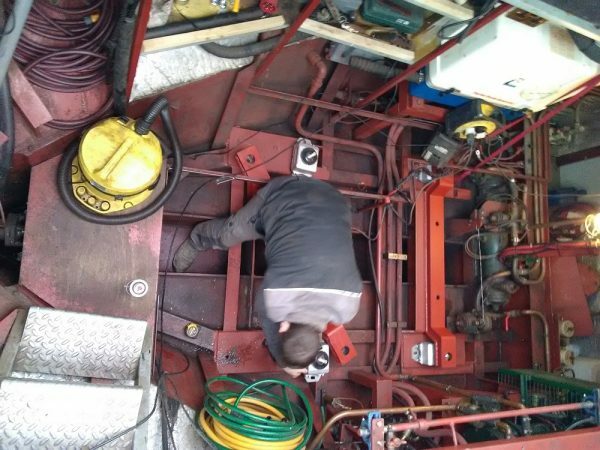 Steady as she goes capt’n, It’s a tight fit but expertly executed by our engineering team. Good for another twenty years of gently chugging along the canals and rivers of Burgundy. Tim Harrold is owner and captain of the Randle, a beautiful and classically styled river boat fitted with two en-suite cabins and all the modern facilities to travel in comfort. 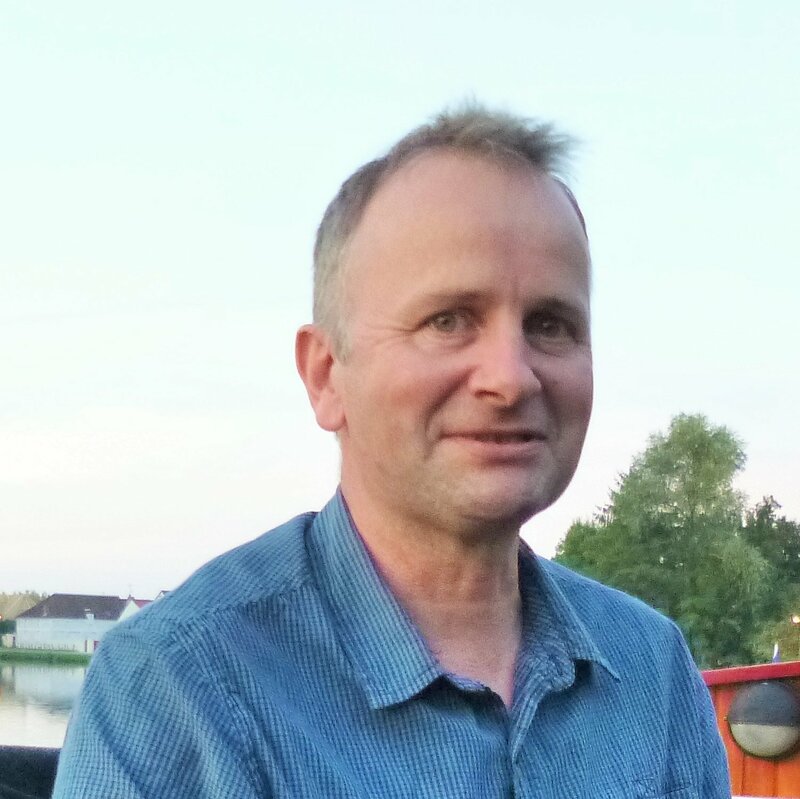 Tim offers private barge tours on the picturesque Burgundy Canal du Nivernais and river Yonne. A luxury cruise with Tim and his crew includes gourmet cuisine, fine wine, and guided tours by private car to vineyards and chateaux. Learn more about Edge Charter and barge trips on the Randle along Burgundy's canals and rivers here. Thank you Tim for your well written article. The ‘off season’ sounds as if it was as busy as ‘the on season’. Here hoping it is all smooth cruising for you through 2018.